New Websters Pages are in the store!!! The embellishments will be shipping in the next few weeks but here are the papers from the new Postcards From Paris line. AMM is the first to have this new collection in the store. Take a look at the papers below and click here to go put some in your shopping cart! We'll be back soon with lots of new CHA releases. Happy shopping! This great sketch site is in its second year and as part of the design team there, I can honestly say that it is the most fun sketch site. There are tutorials, a really supportive message board community, prizes, and not to mention the great sketches designed by site owner, Julie. If you are ever low on inspiration, I suggest stopping by the site for the sketch of the week or looking through the archives for past sketches. Here is a peek at the sketch up this week. Head on over to the site, register, and upload your interpretation of the sketch for a chance to win this week's prize! 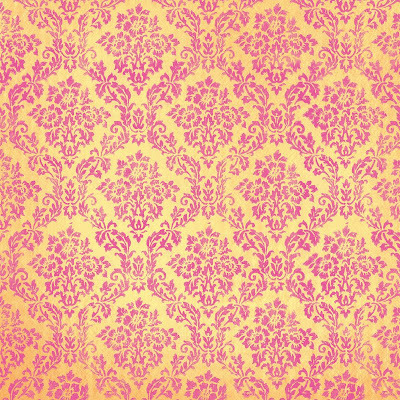 Here is another sneak of the August kit. We will have the full kit revealed when we return from CHA. Until then, here's a glimpse! 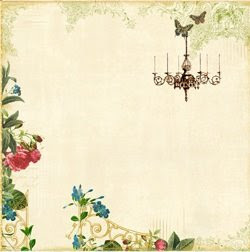 I see some of AMM's very own vintage embellishments in here. 5. Buttons, rhinestones, or whatever else you want to use to top off your flowers. 1. Take a strip of paper. 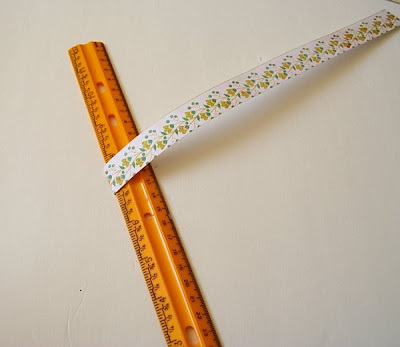 Starting at one end, use the edge of your ruler to make a diagonal fold in the paper. 2. 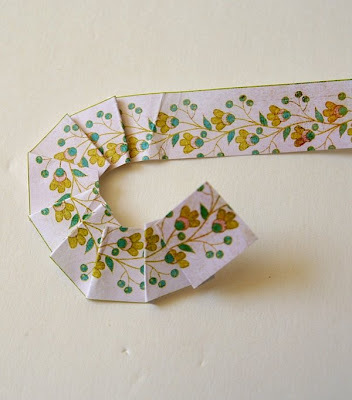 After the first fold, make a fold on the opposite side of the paper so that you have accordion style folds (back and forth, back and forth, as the picture below shows). When you are pleating the paper make all of your folds at an angle so that the pleat forms a circle. You might need to manipulate the pleats as you go along to get the round shape you want. Keep going until you have a circle and trim any excess paper. 3. 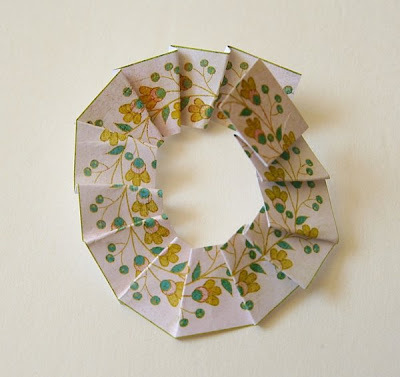 Glue the pleated paper “wheel” to the back of a chipboard circle. 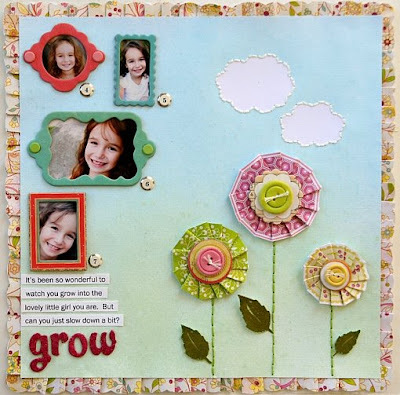 I used October Afternoon chipboard embellishments on the flowers I created for the “Grow” layout above. For the example below, I covered a plain chipboard circle with cardstock, sprayed on some Spritz spray, and then I added Stickles around the edge. 4. Top off your flower with a button, rhinestone or other embellishment. Voila!!! Thanks so much Stacy, can't wait to give this a try. 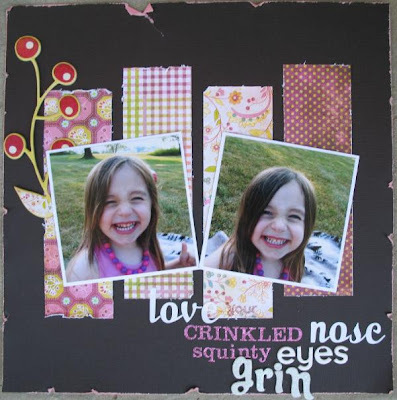 "Love Your Crinkled Nose Squinty Eyes Grin"
And here is my layout which is based on sketch 28 over at 52 Sketches 52 Weeks. Here's a little interview I had with Maria so you can get to know her a little better. 1. What got you started in scrapping? Alexa was a little over 6 months old, and I was browsing around a bookstore. A scrap mag caught my eye and I picked it up. My co-worker mentioned she scrapbooked and brought in her albums and more magazines to look at. I couldn't wait to try it out. A little while later I attended my first class at a LSS. Hooked ever since. 2. What are the three scrapping tools you just couldn't scrap without? Border punches, Basic Grey Precision files and a craft knife. 3. What manufacturers do you really love? Too many! But, my top five this year are: Basic Grey, Pink Paislee, October Afternoon, My Minds Eye and Cosmo Cricket. 4. What one technique is one of your projects not complete without? Lately, it's using one or more border punches. I seem to be reaching for those over and over. 5. What is the inspiration behind this layout? These pictures had been sitting on my scrap desk for weeks. I was looking through the AMM gallery and saw Jenn's take on the sketch at 52 weeks/52 sketches. I thought it was the perfect fit for the new Basic Grey Lemonade papers. Thanks so much for the awesome compliment Maria and thanks for sharing your project with us. If you want to leave Maria some love, leave a comment under this post or head on over to the gallery. You cna find this layout here and see the rest of Maria's gallery here. 1.) Gather your leftovers. For this card I used Prima packaging, a piece of a flower that was leftover from using only a portion of it on another layout, scraps from two different layouts I'd done, buttons and bakers twine. 2.) Fold Prima packaging in half so that the side with the most print is on the inside. The front of the card should be free from any print. 3.) 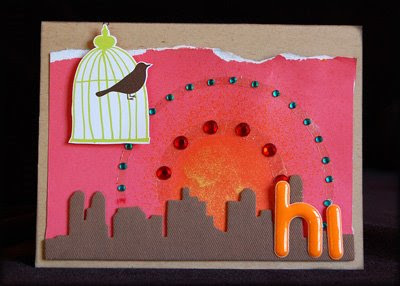 Using the Prima packaging, trace an insert for your card. 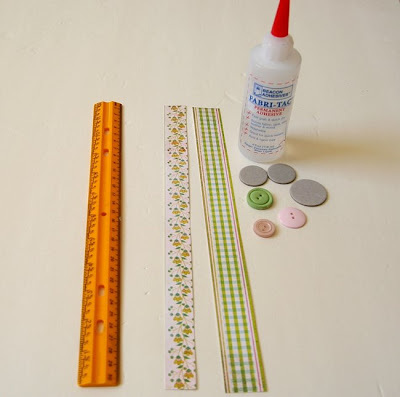 Lay the packaging on your pattern paper and trace one end. Then slide it forward so that it covers what you just traced and complete tracing. 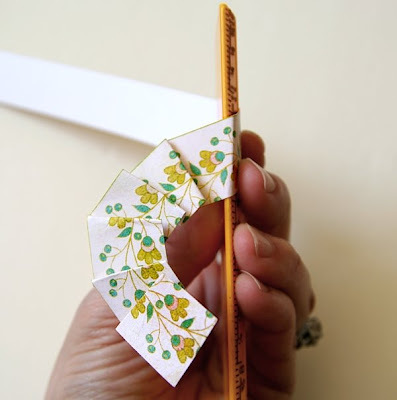 Cut out your insert, cutting away pieces from each long straight side. Your insert will be approx. 1/4" smaller than the card on all sides. 4.) Fold insert in half and adhere to the inside of the card. 5.) 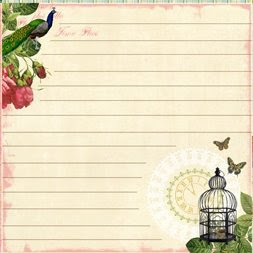 Using your Prima packaging card again, trace a piece of the same patterned paper for the front of the card. This piece should also be approx. 1/4" smaller on the sides. 6.) Adhere piece you just cut to front of card. 7.) Add flower, and buttons and any sentiment to the outside if you wish. 8.) 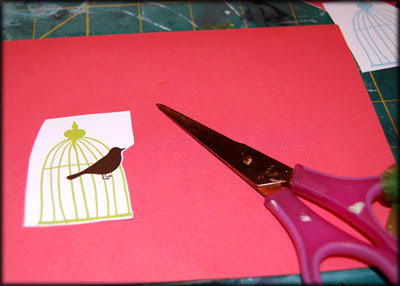 Using another scrap, cut one piece of paper that is 1.5"x5". 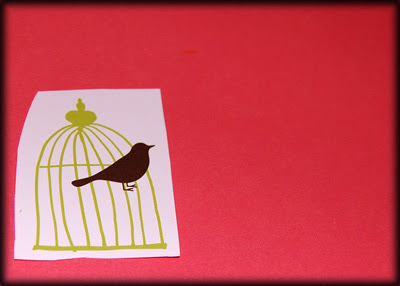 Fold and adhere to inside of card. 9.) Add sentiment if you wish. 10.) Add bakers twine to center of front and back of card if you wish. And voila! 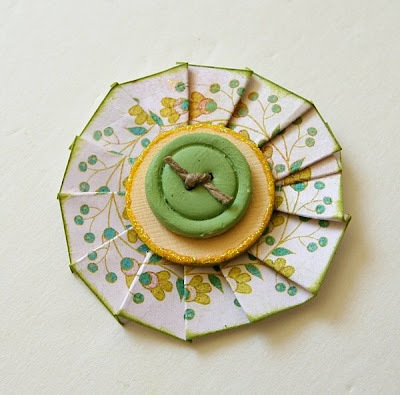 A perfect way to use up those leftovers to create a beautiful little card that is perfect to add to gifts or to give just because. The best part is that it didn't cost you a cent, it freed up space, and will surely make someone's day! Thanks so much for sharing Rachel, what a great idea and super cute card! 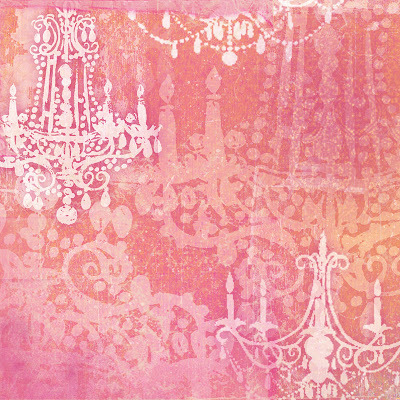 The Design Team is being sponsored by the fabulous Lily Bee this month with papers and die cuts from the really pretty French Couture line. Here are a few peeks of some of the projects created be design team members. I'll be bringing you more as they are added to the gallery. 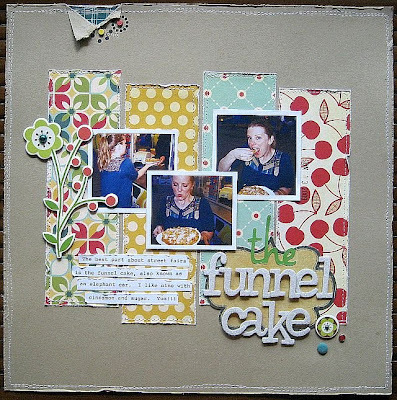 Here is a gorgeous layout from Karen. 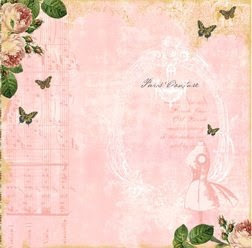 Who knew pink could look so sophisticated on a baby boy page layout! I love the color combination on this one and that big flower is so pretty. 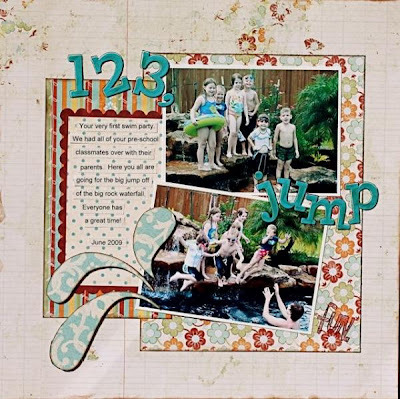 Here is a really fun summer layout from Susan. The summery colors on this one go perfectly with the pool pics and I love those splashes on here. And here is one from yours truly. I used one of the 4x4 die cut pieces to make a mini layout within a layout. Of course lots of white space and some Glimmer Mist using a Glimmer Screen. I also used my Cricut to cut out the leaves from the Lily Bee paper. 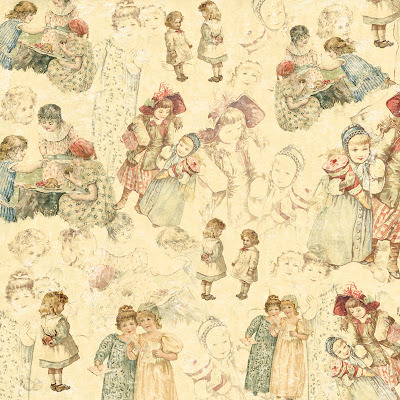 Melissa Frances Galore in the AMM Shop! 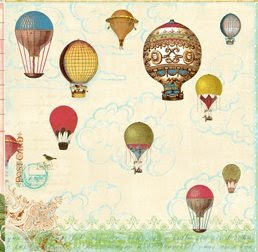 I am so excited that the new Melissa Frances stuff is in the store. 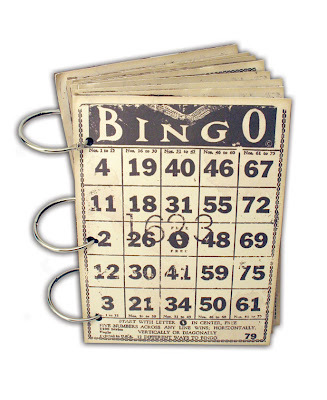 I have been waiting for this BINGO mini book for so long! But you better hurry because I bet they will sell out quickly! 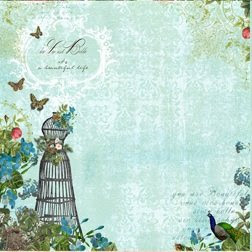 This one is super cute too, this envelope mini album. 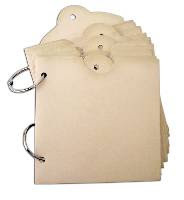 How cute to add tags or even extra pics to the pockets. 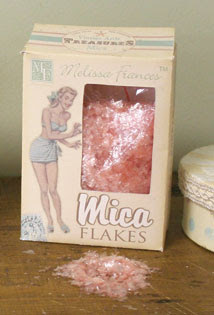 If you love glitter, you will love the different look of these mica flakes. Shown below are the pink ones but they are also in blue and white in the store. 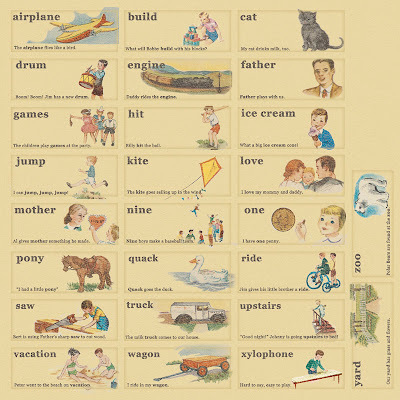 I would love to add these to some chipboard alphabets for like a banner or some type of wall hanging. 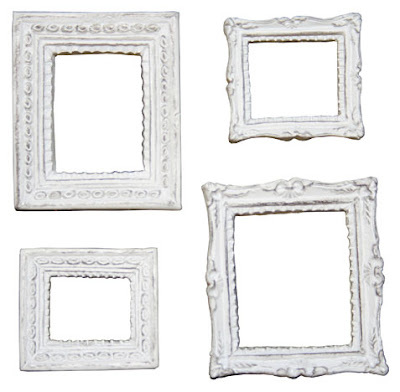 These resin frames are so beautiful and the perfect size to add to the cover of a mini book. I have a few of these and I used some spray paint in chrome to make one silvery and shiny. It would be great to spray paint them some other really bright colors too. 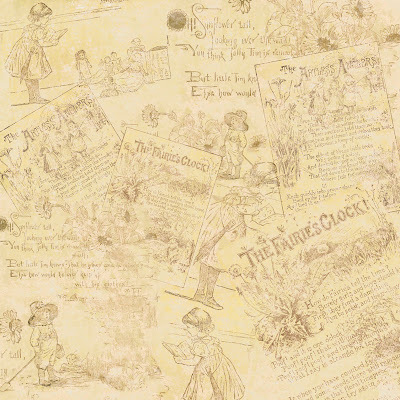 These flashcards are the perfect amount of vintage flair to add to any layout or project. They come in a boy theme, shown below, and a girl theme. These little bottle brush trees are so cute too, though it does get me thinking a little too early for Christmas projects. 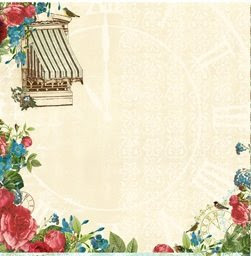 How about some really pretty, soft, vintagey papers to accompany those projects. Here's what's new in the store. So what are you waiting for! Go load up that cart!! Here are some more fab projects from the design team using the July kit. Want to see more and some detailed pics? Click here to go to the design gallery. 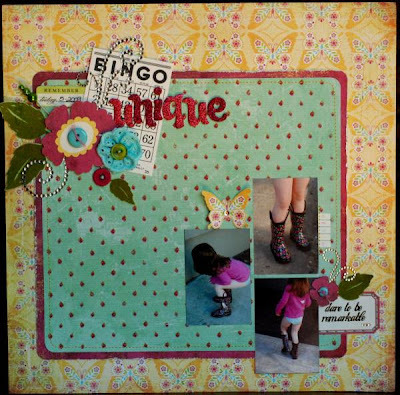 Love Your Freckles By Hilde Janbroers I really like the patterned paper strip mat for the photo Hilde did on this layout. 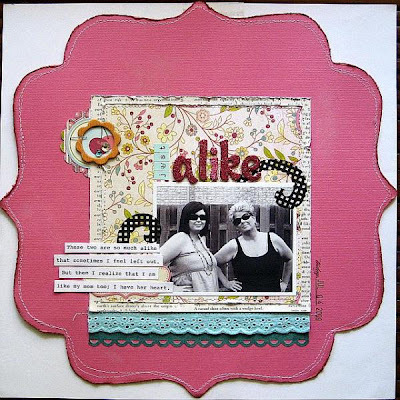 Just Alike By Jennifer Findlay This was my contribution to the shaped layout challenge this month with the design team. 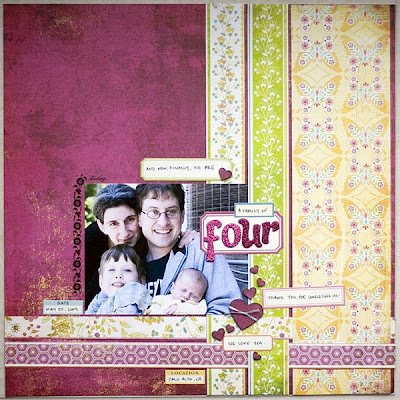 Four by Karen Grunberg Karen did a really pretty weaving of the patterned papers on this layout, what a great idea. 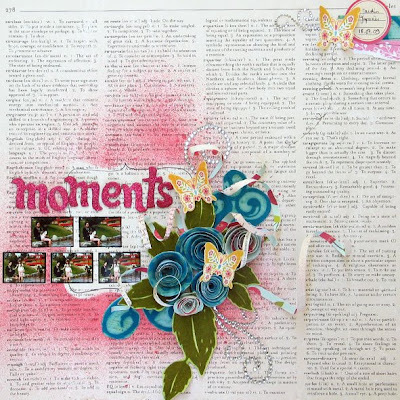 Moments by Larissa Albernaz I love Larissa's misting and use of white space on this one. Grow by Stacy Cohen Stacy did sucha fabulous job with this layout. 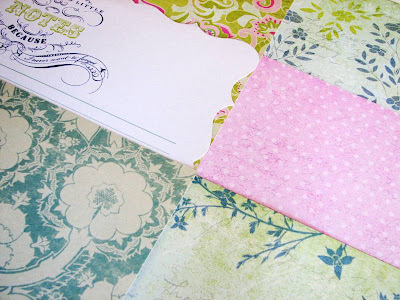 I love all the ruffling of the patterned paper she did on her layouts this month. Unique By Tonya Dirk I also love Tonya's use of white space on this layout and the smaller wallet sized photos. So cute. Thanks for taking a peek and be sure to stop by the design gallery to leave your DT some love. 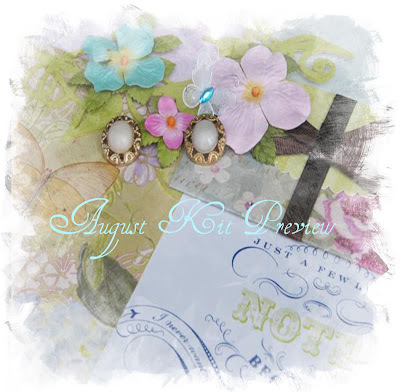 Here is a little sneek of the August kit! 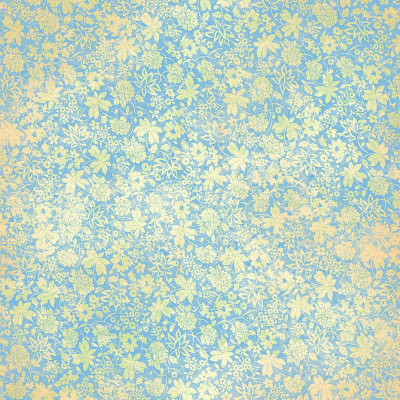 It has some really pretty floral patterns and softer colors. What lines do you see here? The full reveal will happen on August 1st! Don't you love to see perfect hand cutting? You know the kind I mean...like it was cut with a die cut machine. It is a lot easier than you think and with just a little practice and a few tips you will be an expert cutter yourself! Tip 1 - Always cut your image loosely from the paper before trimming close. Tip 2 - Use a SHARP pointed, short scissor. I like Cutterbee's. I keep them for only hand cutting with a special ribbon tied in the handle so they don't get mixed up. Tip 3 - Leave a margin around the edge of your image. 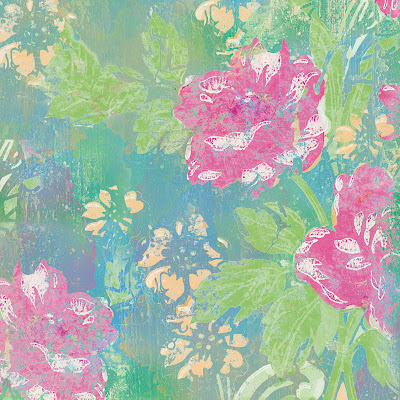 Your flower or image will be more defined and if you mess up a little it will show less if you leave a margin. Try to keep the margin fairly even. Tip 4 - Move the paper and not the scissors - do you know what I mean? The hand with the scissors should be still, except for opening and closing the scissors. Move the paper into the blade and you will get a smoother cut. Tip 5 - Try to make long smooth cuts where possible. It is much easier to cut a smooth line when it is long and not little choppy cuts. -For interior cuts I use a craft knife on a self healing mat. -When cutting out flower petals I always try to cut toward the center of the flower - not around the entire petal. -Make sure you show off your hand cutting by popping it up with a pop dot for dimension. It is amazing what a little detail will do for a project and it doesn't really take as long as you might think, so give it a try! Member Monday with Susan Dupre!! Welcome back to another Member Monday here on the blog. Today's pick comes to us from Susan. 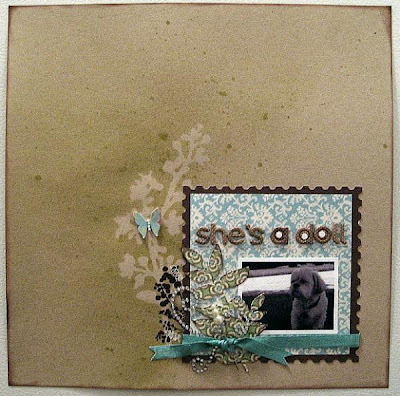 She chose the layout below by Jamie Dougherty, also known as "jaylynn" on our message boards. Here is Jaylynn's layout. 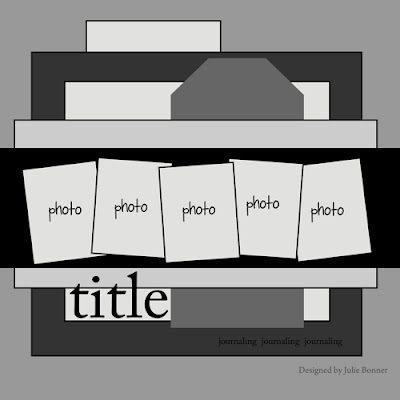 Here is what Susan had to say about picking this layout, "What I loved about this layout was the way she hand printed the alphabet. What a cute way to demonstrate the very thing her daughter would be learning in school. I also adored her use of circles, buttons and flowers throughout the middle of the layout. What a great way to guide the eye from top to bottom! This is the "perfect" 1st day of school layout!" Thanks so much Susan and Jamie for inspiring us today. If you want to leave Jamie some love leave a comment here on this post or directly on her layout by clicking here. You can see the rest of Jamie's gallery here. 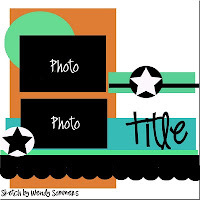 If you would like to have your layout or other project picked be sure to upload them to the gallery. Every once in a while it is fun to look at your supplies in a new way. Here I used the packaging from some of my Prima flowers and made a photo frame. The ribbon came off of a package that was sent to me in the mail. The leaf was just a random leaf with no match to be found. Although I have a huge stash of buttons because I love them, you can still use buttons from old clothing that you or the kids no longer wear. If you think about it, it is easy to "go green" if you just look at your items in a new inventive way. Have fun creating!! Are you in the Long Beach, California area? If so you should stop by Michelle's house for a Scrapbook Yard Sale!! She is having a sale this weekend to clear out the warehouse to make room for all the awesome new CHA stuff. The sale starts at 7:30 on Saturday, so be there or you'll miss out on stocking up on some of your favorites! Hi. Michelle here. We are having a sale that begins AND ends Friday 7/17/09. All orders get 15% off using code 221 at checkout. PLUS, if you are a US customer, spend $25 or more and get free shipping too. We are working hard to clean house so that we are ready for CHA in a few weeks (11 days...but who's counting?). In order to help make room for all of the fabulous new product that we plan to order, we are going to have a warehouse clearance sale this Saturday, 7/18/09. If you are in or near the Long Beach, CA area, we hope you will take advantage of our sale. We will have ribbon spools for $3.00 each, papers will be 10 for $2.00, albums for $2.50, Prima flowers for $1.00, varius embellishments for $1.00 & $2.00 and more. I am still preparing for the sale, so I'm stil not sure about how much of everything we will have. But I know it will be a TON of stuff!!! As many of you know, my daughter Chloe has Leukemia. She is still on chemotherapy, but is doing amazingly well. You would NEVER know that my child has Cancer. I think back to the day that she was diagnosed and I still get chills up my spine and tears well up in my eyes. It was the worst day of my life!!! The first two months were literally hell. My husband and I struggled every day to stay strong for our children while our hearts were broken and our world was destroyed. We lived every day these first two months wondering if we would be able to save our baby girl. I rememember one night in the hospital, Chloe laid asleep in bed and I sat in a chair next to her just crying. A nurse walked in and wrapped her arms around me. She whispered in my ear that things were going to get easier. I remember this as if it was yesterday because it meant SO MUCH TO ME. It was exactly what I needed to hear and most importantly ~ I BELIEVED HER AND IT MADE ME FEEL BETTER!!! And you know what? She was right! Fast forward to the story I heard about on the radio yesterday. There is a one year old little girl named Allison Zicree in Southern California that is looking for a bone marrow match. Her Mother was on the news asking people to donate blood and sign up for bone marrow registration this week. My heart just breaks for them! Allison was diagnosed a month ago. I remember those first few months in the hospital. Waiting to hear if she is in remission or not. Eatting, sleeping, praying all day long in the hospital. It's just the worst nightmare you could ever imagine!!!! Please visit Allison's blog and say a prayer for them. They need to hear our kind words right now. And if you have the time and are in the area, please stop by and donate blood to Allison and register for the bone marrow.